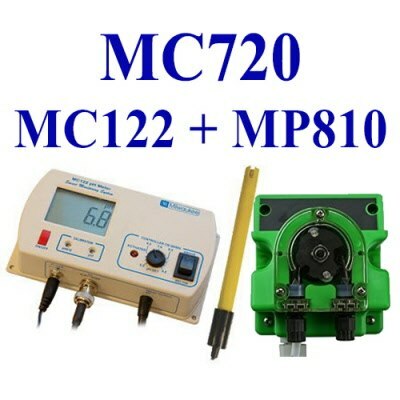 The MC122 pH controller and the MP810 dosing pump provides fully automated pH control of aqueous solutions in hydroponic systems. It has been specifically designed to control the pH in mixing tanks for fertilization. The small and precise flow of the peristaltic pump allows you to maintain ideal pH values in your tank.